HELP US SAVE THE MOST VULNERABLE KITTENS! Every day we get multiple calls from the shelter and the public about little ones who need a solution fast! Please help us provide these vulnerable babies what they need to survive and thrive. Last year our village was able to save nearly 600 kittens! Every little life that was saved was an astounding success story, but it came at an astounding cost. Approximately $60,000.00 was needed to provide spay/neuters, microchips, vaccines, snap tests, life saving vet care for upper respiratory, ringworm, and specialty surgeries. Every dollar was worth the result! Healthy and special needs babies got a chance at life, love and family. It's what we live for at Hearts Alive Village. Please join me in giving hundreds more kittens that opportunity to live! Every life matters and every dollar does, too! You can donate today or even start your own fundraising page and inspire your network of friends and family to make a difference! Just click on the Make a difference TODAY button! We understand and value the powerful connection between people and pets. As we set out to provide a safer, happier life for animals, we realized that in order to do that, we were helping people as well. Through a variety of owner support programs, we strive to keep pets in their original homes whenever possible by providing food, veterinary care, training assistance, support, and more. We work with low income, Veterans, seniors, the homeless, and children, to provide access to services, find the perfect family, and educate and inspire the next generation to take action. We rely entirely on the support of the community. Whether you donate, volunteer, foster, adopt, network, or spread the message, we welcome you to become a part of our village. - Saved approximately 2000 dogs and cats from being lost in the shelter system. - Feed as many as 300 pets in low income homes, each month. - Assisted more than 400 community animals with training, medical assistance, spay and neuter, and more. - Taught more than 1000 children how to be responsible pet owners, approach animals safely, and be kind to all living creatures. 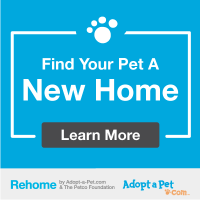 NEED HELP RE-HOMING YOUR PET? Hearts Alive Village is a proud recipient of funding from Dave & Cheryl Duffield Foundation, #ThanksToMaddie.